A garden on Chicago's South Side is dedicated to the men and women who have served our country when Englewood Veteran's Garden officially opened Saturday. 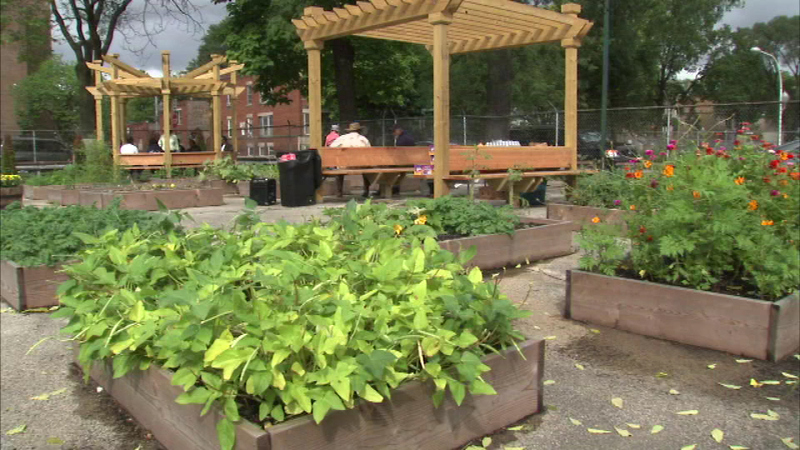 CHICAGO (WLS) -- A garden on Chicago's South Side is dedicated to the men and women who have served our country when Englewood Veteran's Garden officially opened Saturday. The idea for the garden came from the students in the "Global Design Team" at Lindblom Math and Science Academy. The students and volunteers worked more than six months to create the meditation space for veterans.